Lazada, the leading online shopping and selling destination in Southeast Asia is celebrating its 4th anniversary with a 4-day Birthday Sale from March 15-18. 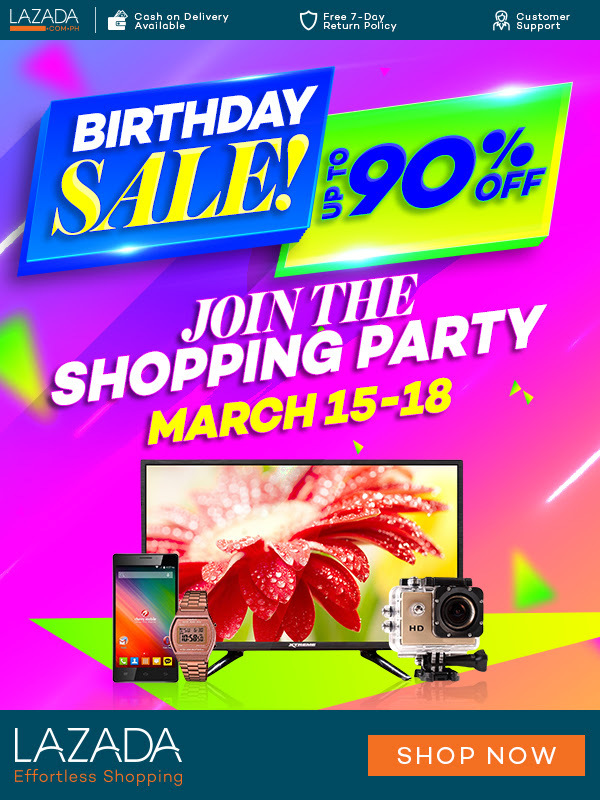 The Birthday Sale will treat shoppers to a range of deals of up to 90% across a wide selection of categories featuring Home and Living, Travel and Luggage, and Consumer Electronics. 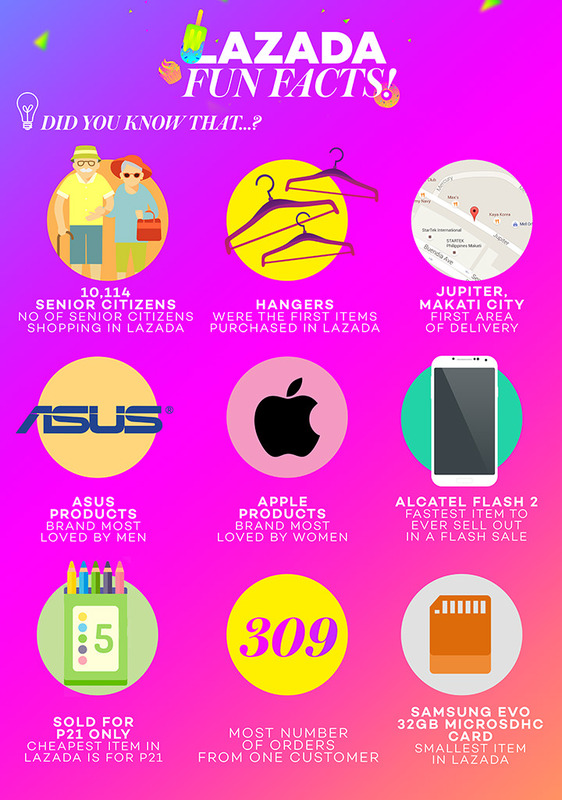 Brand ambassadors LA Aguinaldo and Kelsey Merritt, who personify Lazada’s fun and effortless vibe, will join the country’s largest online party. Shopaholics can visit http://www.lazada.com.ph/lazada-anniversary or download the Lazada Mobile App for Android or iOS to celebrate online shopping fun!